Jasmin Paris’s feat at the Spine Race is another standout example of the fantastic female athletes competing in ultra running. Jasmin Paris achieved something extraordinary to become the first female outright winner of the 268 mile Montane Spine Race on Wednesday (January 16). The phenomenal athlete wasn’t finished there though, and after covering the 268 mile route in 83 hours, 12 minutes and 23 seconds, she dismantled Eoin Keith’s overall course record by more than 12 hours. Congratulations to Jasmin Paris for breaking, sorry destroying, the men’s and women’s course record for @TheSpineRace when winning outright tonight. 268 miles, in winter, in 83hrs 12 minutes. That is some going. Bravo. In a time when female athletes are seeing more – but still not an equal share – of media coverage, one sport seems to be doing a huge amount to inspire other women to break boundaries. Ultra running, I like to think, is leading the way. 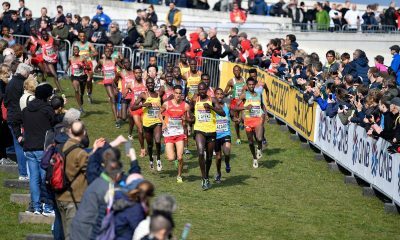 The sport involves running anything longer than the traditional marathon distance of 26.2 miles. 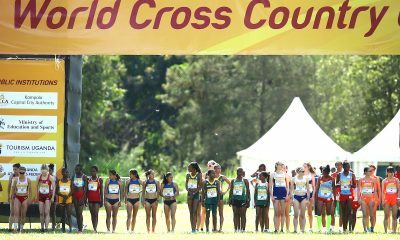 It might be a niche one itself, but the wow factor often sees it make headlines in running media, if not mainstream media. For any ultra runner there are a bunch of fantastic women at the front of the sport inspiring all of us. They’re taking not only women’s ultra running, but ultra running as a whole to new levels. Just exactly what Paris demonstrated along the Pennine Way. Many will point out that the longer distances suit female runners better. It can be due to factors such as how fuel is burnt within our bodies and just how much pain and suffering can be endured. That said, physiologically there is still a similar 10-11% difference between world records. Male athletes should, physically, have more potential. Ultra running isn’t just about the physical side though. 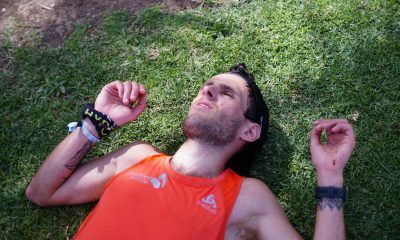 Ultra running is about dealing with pain, being organised and pacing well. You need to forget about your ego and just grind it out when the going gets tough. It’s a wonderful leveller across the board and as a male I take full advantage of this too, beating much better runners over longer distances. I have to be careful how I write this, but hopefully, the sentiment comes across correctly. Even though I disagree that female runners are more physically suited to ultra running – they are better ultra runners! Being a good ultra runner isn’t about your VO2 Max, top speed or how quick you run a marathon. It’s about reaching the best of your own potential and the women beat the men at this nearly every time. Being a good ultra runner is about being the best you can be. Not just running but managing everything within your control to get to that finish line as soon as you can, not trying to get there ‘quickly’. Plenty of ultra races have been won outright by female athletes, but some might have put this down to weak fields. I even heard this week that it was “good weather for the Spine this year, everyone will beat records”. Yet the course record holder was racing as well. Irish international Eoin Keith toed the very same start line, in the same conditions, as Paris did. She was just the better ultra runner on the day. 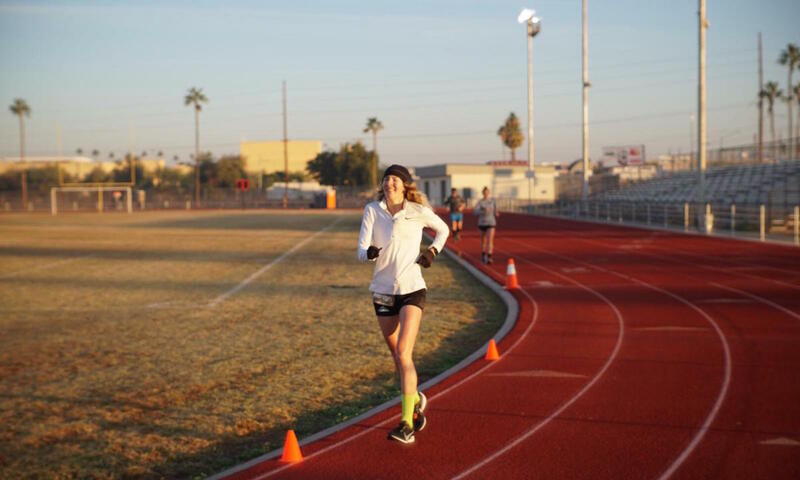 The same can be said for Camille Herron at the Desert Solstice 24hr race in December. The Nike runner beat the world record for 24hrs, but also achieved the feat while racing some of the best male ultra runners such as Patrick Reagan and World 12hr record holder Zach Bitter. It’s not just that ladies are winning outright, but it’s the dominating style in which they are doing it with. Both Paris and Herron were there to race. They were racing everyone and gender was not in the equation. If you’re there alongside them wearing a pair of trainers, then you’re finishing second. Whoever you are, if you’re racing this ladies in their sport then you’re in for a rough ride. Holly Page was winning fell races outright last year and travelling the world to win Sky Running races too. 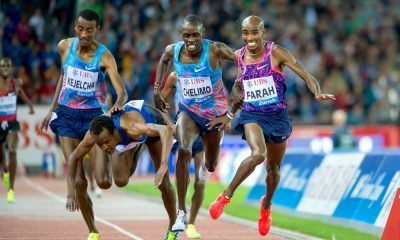 Backpacking and hitchhiking to start lines and still beating the world’s best. Our housemate, Swedish Mimmi Kotka, strikes fear in the hearts of everyone on a startline too. Major international races like the Mont Blanc 90km and the Annecy Maxi Race Mimmi is in the top 10 overall. My wife Natalie White streams past everyone whilst descending in a race. You can even tell it annoys some of the men. Some try to stop her coming past, but that won’t hold her back. The list of women that I look up to in my sport doesn’t stop there. At the very beginning of my career, women like Mimi Anderson were running like I could only dream of. In my first really big event, the 145 mile Grand Union Canal race, I was delighted with my seventh spot and 31 hour plus time. But my friend Claire Shelley had bounced along to a 30 hour finish. I was still trying to get into the 24hr running squad when the likes of Debbie Martin-Consani, Sharon Law and Emily Gelder were winning medals and running great distances. Actually my first run for Great Britain I was just hoping to equal the PB of Emily as she was a teammate. Gelder had won an individual medal at the last champs. We were actually told off for running together as you’re not allowed to pace people in a different race. Seeing as my PB at the time was significantly less than Emily’s I guess I was the one accepting illegal pacing, but I was just running with a peer who I looked up to. Then you have the likes of Herron and Courtney Dauwalter breaking boundaries in the USA. Herron is setting world records that, for me, make the men’s world record seem not as totally impossible as it once did. If Herron thinks she can do it, then maybe I can get a bit closer too. The sheer belief of such a great athlete inspires me to be better than I am. Our sport of ultra running, as strange as it might be, has some of the best female role models in sport as a whole. I could reel off a dozen names of women who inspire me, many mentioned in this article already. The media should be shouting from the rooftops about Jasmin Paris, a new mother who works as a vet and still studying, setting a new course record for this race. How great a message could this be? Hats off to Matt Butler at the i newspaper for running the story. The BBC Breakfast show even did an interview, but it should be even more mainstream. It should be everywhere. 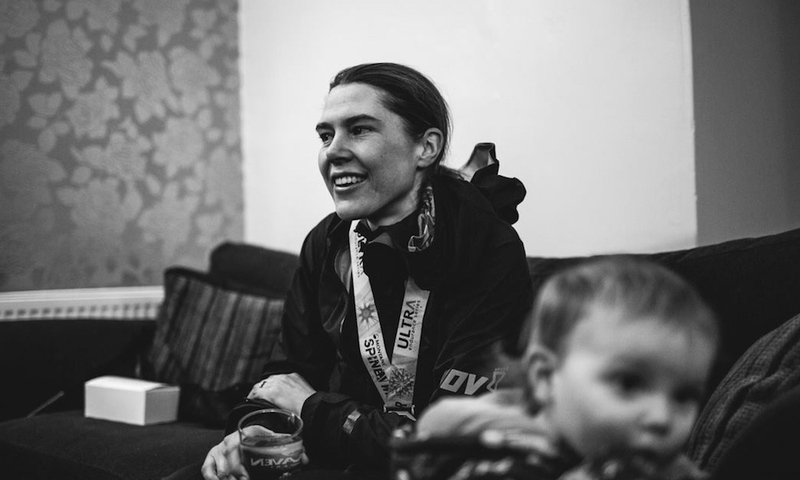 So I’m writing this simply to say well done to a fellow ultra runner, but also to highlight how the inov8 athlete is one of many amazing runners I look up to. What Jasmin Paris did this January isn’t just a one-off. She’s been breaking new ground in the mountain and fell running world for the last few years, and her records, be it the Spine or the Bob Graham Round, will stand the test of time.